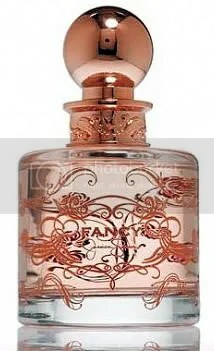 gardenia | Scent Addicts - Perfume reviews, fragrance news, & more! Coming in August 2008 is the debut perfume release of singer/actress Jessica Simpson. The blonde beauty currently has a clothing line (including everything from jeans to purses to jewelry), and has even dabbled in the bath and body/fragrance category previously (anybody remember her Dessert line of edible body products?). Created with perfumer Alexis Dadier, Jessica is providing us with a floral-oriental scent in Fancy, which includes some of the following notes: apricot nectar, pear, red berries, jasmine, gardenia, baked almonds, carmel, amber crystal, sandalwood and vanilla cream. It is targeted towards perfume wearers from 15-35 years old.